Arizona House Democrats: Congratulations to Representative Richard Andrade for receiving The Copper Shield award! 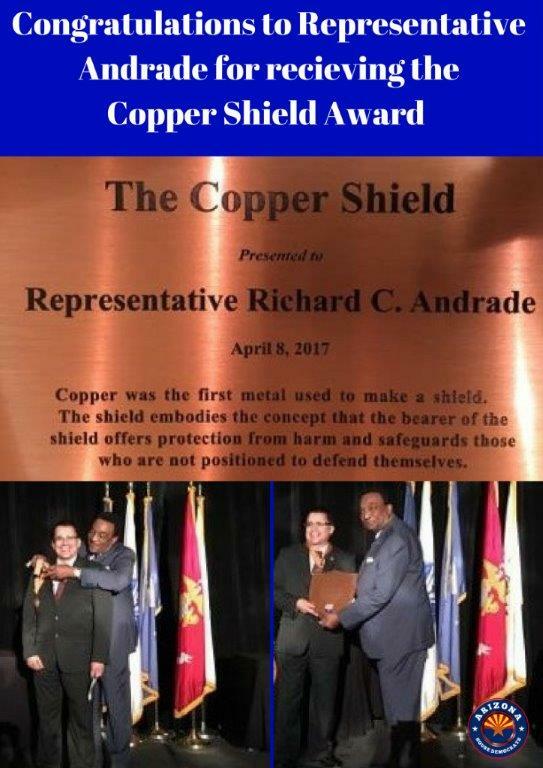 Congratulations to Representative Richard Andrade for receiving The Copper Shield award! Rep. Richard Andrade, D-Phoenix (District 29), was awarded The Copper Shield this year for his service to veterans.